The executive board of NAB in its first meeting under Chairman Qamar Zaman Chaudhry approved inclusion of the name of former prime minister Raja Pervez Ashraf in a supplementary reference to be filed in the rental power projects (RPPs) scam, while the fate of a reference against former PM Yousaf Raza Gilani is likely to be decided in next board meeting, Pakistan Today has learnt. The decisions were made during the executive board meeting (EBM), the highest decision-making body of NAB held at the NAB headquarters. A source in NAB said the meeting decided the reference against Ashraf in only one of 12 cases forwarded to NAB by the apex court for investigation. “Investigation in rest 11 cases of RPPs is in final stages and all the 11 cases would be completed before the next meeting of EBM or the board of directors likely to be held within a fortnight,” the source added. The source said the investigation in two cases of Oil and Gas Regulatory Authority (OGRA) were also discussed. “It was informed that the reference in OGRA corruption case had already been in final stage and one accused, Shahid Hayat, was arrested and was under trial. While the matter of illegal appointment of former OGRA chief Tauqir Sadiq by Yousaf Raza Gilani was also being investigated, he said. “Gilani has time and again refused to appear before NAB investigators and a reference against Gilani may also be finalised with a fortnight and a report would also be submitted in the next EBM likely in two weeks’ time,” the source added. 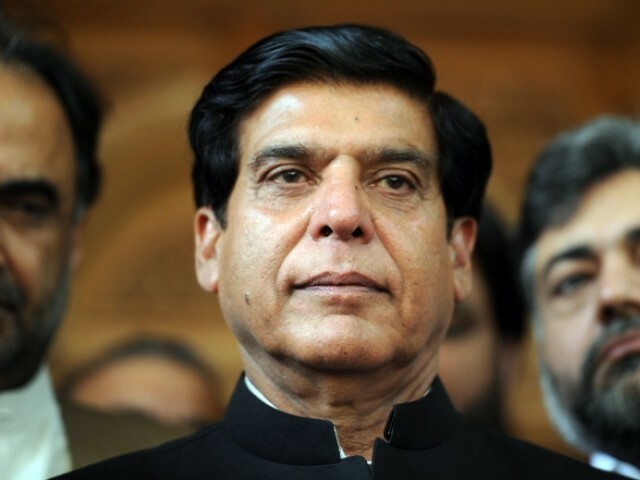 An official handout said the NAB board meeting had decided to file a supplementary reference against former minister for water and power Raja Pervez Ashraf in RPPs case. “Preliminary reference was already filed against nine other accused persons for alleged misuse of authority in violation of rules while awarding unsolicited RPP at Naudero-II and shifting of equipment from one project to another. Thus causing huge loss to national exchequer,” said the handout. In Naudero-II RPPs case, nine accused persons against whom preliminary reference was filed in Accountability Court include former secretary of Ministry of Water and Power (MoWP) and ex-chairman PEPCO Shahid Rafi, ex-additional secretary MoWP Sheikh Zarrar Aslam, ex-MD/CEO PEPCO Engineer Tahir Basharat Cheema, ex-directors PEPCO Board of Directors (BOD) Malik Muhammad Razi Abbas and Wazir Ali Bhayo, ex-GM WAPDA Power Privatisation Organisation (WPPO), CEO Central Power Generation Company Ltd (CPGCL), Tariq Nazir, ex-CEO CPGCL Abdul Malik Memon and ex-MD PEPCO Rasool Khan Mehsud. The EBM further authorised two inquiries, first against Makhdoomzada Syed Murid Kazim, ex-minister revenue for KP and Ahsanullah, the former KP senior member Board of Revenue and others. The accused were alleged to have misused their authority for allotment of prime government land measuring 182 kanals in DI Khan, KP. In the second authorisation, an inquiry has been ordered against officials of QESCO for illegal recruitment of 280 employees without following due process. NAB (Sindh) has also been directed to re-double efforts and finalise cases of Pakistan Steel Mills corruption entrusted to NAB by the Supreme Court of Pakistan. Nothing will happen. Nothing ever does. wasting of time and just to distract people attention from drone strike….